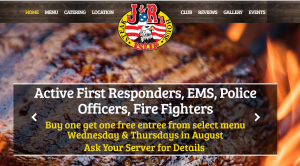 Active First Responders, EMS, Police Officers and Fire Fighters can buy one entree from select menu and get one free! Offer is on Wednesdays and Thursdays in August 2018. Must show identification to get the deal.